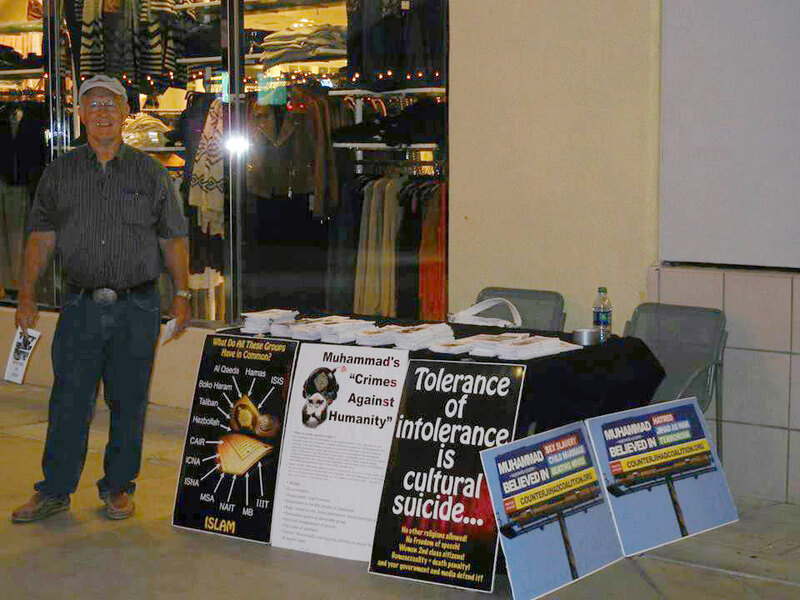 The Counter Jihad Coalition was out at the Orange Outlets last night spreading the truth about Islam. 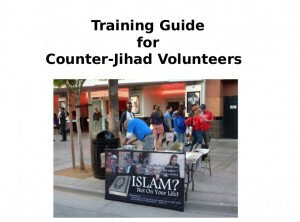 We passed out over 400 brochures and had many discussions with Muslims and non-Muslims. Once again, “Security” tried to shut us down do to “complaints” from the Muslim crowd. They were unsuccessful in enforcing Sharia Law and we had a great outing. The Glazov Gang is a fan-generated program. Please Donate to keep it alive, Subscribe to its YouTube Channel and LIKE it on Facebook. Thanks for your encouraging and thankful words. Time is running out on us to educate the public. Everyone needs to start working harder at getting the truth out. Enter your email address to subscribe to the Coalition and receive notifications of updates and events by email.